GreenWave commercial interior painters set the standard for painting contractors in Atlanta and surrounding areas with our introduction of “green painting”. Green painting is more eco-friendly for your customers and employees, because it does not emit toxic chemicals. We pay special attention to the health concerns and the impact to Atlanta’s environment of our painting and concrete products. Painting the interior of a commercial building has two functions: protect the building from the high traffic and use and abuse it will see and look great. For these reasons, GreenWave Solutions uses only the most durable Sherwin Williams painting products on the market. The paint on the interior of your commercial or industrial building creates an atmosphere. 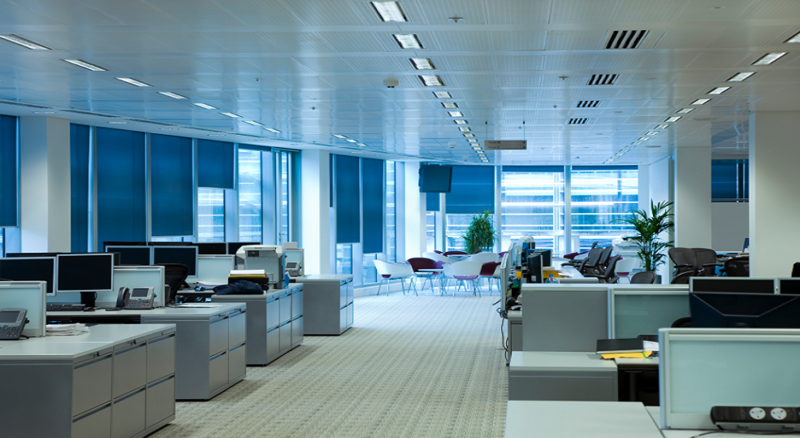 Is your commercial interior inviting or unappealing? Do your employees want to work there or your clients want to stay there? As an Atlanta-based residential and commercial painting and remodeling company, we know the unique challenges commercial painting presents. Remaining on time, on budget and minimizing disruption to your schedule are critical to every successful commercial painting and construction. There can be air quality, tenant issues or staging problems. At GreenWave Solutions we thrive on these commercial painting challenges! Our Atlanta commercial expertise, years of experience and use of better equipment and better painting materials enable us to bring you unmatched commercial painting results. So, why should you use GreenWave Solutions as your interior commercial painting specialist? We meticulously prep all commercial painting surfaces before painting (sand, clean, caulk, prime, etc). We offer color consultations and color matching. We offer top quality faux and specialty finishing services available for high-profile areas like lobbies, conference rooms, corridors and reception areas. We provide quality work, done by trained painting professionals. We get your commercial or industrial painting project done efficiently and on time. Your commercial or industrial establishment will be left as clean as when we arrived. Our commercial painters are licensed, bonded and insured. We provide prompt, accurate commercial painting estimates. We offer fair, competitive pricing. In addition to commercial painting services, we offer carpentry and woodworking. Our goal is to make your Atlanta commercial painting or remodeling project as seamless as possible. This requires expertise not only as a Atlanta commercial painter, but in the art of customer care. We communicate with you often throughout the commercial, industrial or retail painting project to offer prompt, friendly and reliable service. Building long-term relationships with our Atlanta commercial and residential painting customers is why GreenWave has a great reputation that keeps growing! GreenWave Solutions is proud to have worked alongside some of Atlanta’s most reputable developers, builders, building owners and managers in bring their vision to reality.